Posters will be up for the duration of the conference with formal presentation on Monday, April 4 during the poster and networking reception. CLICK HERE to download the PDF list of poster presentations (updated March 22, 2016). Double-sided adhesive will be available on poster supports and in registration desk. Hang your poster anytime on Monday 4th April before the poster session. Please pick up your poster on Tuesday 5th April before 18:00 (6:00 pm). Abstract: NGS is about analyzing a big amount of data. Annotation specifically is not only one of the most data demanding parts of the workflow but also offers the potential to use traditionally coded algorithms in parallel with Hadoop based analysis, also known as Big Data Analysis. This presentation will show how EMC Isilon’s Data Lake helps Bio Scientists to do their work without having to become IT specialists to overcome the data challenges related to the NGS workflow. CV: Wolfgang holds a PhD on computer aided engineering. In his more than 25 years in the IT industry he held various technical and strategic positions. He focuses on understanding the verticals’ specific processes, needs and applications which he then links to the IT product’s features and capabilities in order to achieve the best results for the customers. In his current role in the EMC ETD CTO Office he specializes mainly on Life Sciences, Healthcare and HPC. Wolfgang also follows the immense transformations IT is currently undergoing; this especially includes the new capabilities data lakes and big data offer. Click here to learn more about EMC/IPM. - Biomedical Genomics Workbench - A flexible, scalable and customizable NGS data analysis application. - Ingenuity® Pathway Analysis- A powerful tool for the analysis, integration, and interpretation of data derived from ‘omics experiments. - Ingenuity Variant Analysis™ - Designed for variant filtering, prioritization and discovery. To face the demands of an ageing population, the current healthcare system has to evolve towards a sustainable model focused on patient wellness. This “revolution” will only be possible by transferring the breakthroughs from the bench to the bedside yielding as a result the implementation of a new paradigm based on 4 pillars: predictive, preventive, personalized and participatory (P4 Medicine). In this environment it is needed a catalyser in the described revolution by building a solid technological bridge to allow P4 Medicine to be a reality in few years. Omics sciences, and in particular genomics, stand out in life sciences field. Genomics has developed at a very high-speed due to the dramatic drop in sequencing costs. When the sequencing costs reaches 100$, the way will be paved for each person’s genome to be sequenced as a part of standard healthcare procedures. In the coming years, the world will be inundated with individual omics data. Omics avalanche introduces significant sustainability challenges which can only be addressed by means of a blend between Bioinformatics together with Information and Communication Technologies. To reach these challenges, OMICS (Omics & Medical Integrated Compute System) solutions from Atos overcome the challenges that the translation of genomics to clinical practice possess. The technological bridge that connects cutting-edge genomics with every day healthcare. Click here to learn more about Atos. Prioritizing genes in tomorrow’s millions of whole-genome sequences will be a challenging problem. Genomics England has been charged by the NHS to sequence the genomes of 100,000 patients (100,000 Genome Project). The goal is better, earlier diagnosis and personalized care for rare diseases, cancer and infectious diseases. The project started in 2015, and here we report the analysis workflows developed for GeL for the first rare disease cases. These cases were jointly analyzed using the Omicia Opal platform to identify genes and causative variants for rare disease. Proband symptoms are described using Human Phenotype Ontology (HPO) terms. Omicia’s Opal platform is a comprehensive analysis platform that incorporates variant knowledge from over 90 sources. Variants are prioritized using the VAAST and PHEVOR; algorithms developed in collaboration with the University of Utah. VAAST integrates sequence conservation, genetic consequence, and allele frequency in a probabilistic framework to identify disease-causing alleles. PHEVOR then combines HPO-based patient phenotype descriptions with VAAST results to re-rank the variants for still greater diagnostic power. We will present our analysis workflow within Opal and explain how it has reduced analysis times for a typical WGS from days to hours. In particular, we have optimized the computational portions of our pipeline, allowing us to process a WGS in less than 30min. Omicia teams created a clinical whole-genome workflow for efficient and accurate, but conservative clinical diagnosis. We will show performance results for VAAST/PHEVOR compared to standard analysis approaches. The talk will give a first look as to what to expect for the remaining 2,000 genomes projected in Phase I of the project - insights that should also prove valuable for large-scale clinical exome and genome projects world-wide. Click here to learn more about Omicia. Abstract: Container technology, Docker in particular, has driven enormous progress in DevOps environments and in micro-service-based architectures. Yet containers also deliver benefits for other classes of application scenarios such as technical and scientific computing workflows. This presentation showcases a bio-technology workflow which has been containerized in order to address challenges around versioning as well as software layer and system configuration dependencies. The containerized workflow needs to run on a large-scale cluster and thus was integrated with the leading-edge workflow and resource management system driving the cluster. It was possible to prove equitable performance over the non-containerized workflow while yielding much increased flexibility. Furthermore, we will discuss the lessons learnt and the challenges that had to be surpassed to achieve those results. We will also present on-going improvements to the integration and their benefits such as more sophisticated policies as well as advanced workload life-cycle monitoring and control. Click here to learn more about Univa. QIAGEN Bioinformatics is powered by CLC bio, Ingenuity, and BIOBASE. We offer bioinformatics software tools for next generation sequencing (NGS) data analysis and interpretation. Our solutions are designed to be universal, so you can mix and match the technologies best suited to your needs. 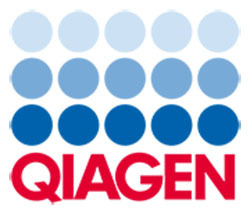 For more information please visit www.qiagenbioinformatics.com. Univa is the leading innovator of workload management solutions that optimize throughput and performance of applications, containers and services. Univa manages workloads automatically by maximizing shared resources and enabling enterprises to scale compute resources across on-premise, hybrid and cloud infrastructures. Univa's solutions help hundreds of companies to manage thousands of applications and run billions of tasks every day to obtain actionable insights and achieve faster time-to-results. Univa is headquartered in Chicago, with offices in Canada and Germany. Omicia Inc. is advancing genomics to the clinic. Omicia enables any clinical testing lab to develop a comprehensive genomic testing service and provide high quality clinical interpretation at scale. Unlike systems that were developed for research studies, our Opal Clinical™ informatics, interpretation and reporting platform combines an automated variant annotation and prioritization engine with a rules-based variant classification system to significantly improve the accuracy and turnaround time of clinical reporting. The post conference workshop is currently at capacity and SOLD OUT. To be placed on the wait list, please complete the standard conference registration with payment. Submit a request to be added to the wait list using the wait list form. We will contact you in the order of the wait list if space opens up. The purpose of the workshop is to introduce a framework for the processing of NGS datasets with a special focus on bioinformatics analysis of RNA-seq data. During the workshop attendees will get familiar with the current transcriptomic technologies producing short (Illumina) and long (PacBio) reads - their advantages, limitations and possible applications to monitor gene expression. This will be a combined tutorial and hands-on session. Attendees will be able to perform analysis themselves. In the tutorial we will explain basic concepts of RNAseq technologies, features of the reference gene annotation, an overview of the available pipelines used in the consortium projects, such as ENCODE and Blueprint. Related to this, we will explain the problem of uniform and reproducible processing of large amount of NGS data. We will introduce the basic concepts of a framework for computational pipelines and will show how it can be used to simplify the writing of RNA-Seq pipelines in portable manner across different execution environments. In the practical hands-on part we will describe how to write pipelines in a reproducible manner by using NextFlow - a pipeline management tool. Within the part of bioinformatic analysis we will explain common data formats (fastq, bam/sam, gtf, bed, bigWig), will show how to perform quality control of the transcriptomic data, read mapping, gene quantification and some downstream analysis. For the execution of the computational analysis we will use GRAPE, a Nextflow-based RNAseq pipeline environment. Within the pipeline, STAR will be used for aligning the RNAseq reads and creating the signal files and RSEM for producing isoform and gene quantifications, thus following the ENCODE3 production workflow for RNAseq data . The practical part will also include visualisation of the RNAseq signal in the UCSC genome browser. Requirements: Basic linux knowledge (shell usage, basic commands) will be essential for understanding the hands-on content. Barcelona NGS invites ABSTRACT submissions for original research and previous published research, as well as Posters for presentation at the conference. The program will address a wide range of issues including RNASeq-based genome annotation, non-coding RNA analysis, proteomics data integration and data visualization. Sizeable space is dedicated to submission-based presentations from the below topics. DEADLINE TO SUBMIT LATE-BREAKING ABSTRACT IS JANUARY 22, 2016! Barcelona NGS invites abstracts for consideration for oral presentations or participation in a poster session. Abstracts may be either original unpublished work or original work that was published or accepted for publication at a high-impact journal. Published and un-published original works will be selected on the basis of the extended abstracts and proposed for either an oral or a poster presentation. Authors with un-published original work selected for presentation at the conference will be invited to submit a full-length paper or extended abstract with full data for peer-review to published* in the ISCB Community Journal, NGS-BARCELONA channel. All Posters will also be invited to submit in poster format to the NGS-BARCELONA channel. Abstracts received before the due date will be considered for oral presentations and/or poster presentations. If your abstract is accepted, it will be included in an abstract booklet that will be distributed to all conference participants. Accepted original research abstracts will also be invited to publish in the ISCB Community Journal at the authors’ expense. Click here for the Sponsor/Exhibit form. Hosted by the International Society for Computational Biology and the Centre for Genomic Regulation (CRG), the Next Generation Sequencing Conference 2016 (NGS 2016) is a dedicated meeting on cutting-­-edge approaches to the processing and analysis of Next Generation Sequencing data. • Post genome sequencing analysis, including RNA analysis, transcription factor binding sites profiling, histone modifications, nucleosome positioning, copy number variation, genotyping, RNA structure, dynamics of transcription and translation, etc. • Research breakthroughs based on exhaustive applications of NGS. • Societal implications: forensic law, sociology research, history, etc. The goal of NGS 2016 conference is to bring together bioinformatics researchers and biologists facing new high-throughput sequencing challenges. The conference will feature 6 scientific sessions and 5 prominent keynote speakers. This year’s conference will take place in April 4-6, 2016 in Barcelona Spain. It is a dedicated meeting on cutting-edge approaches to the processing and analysis of Genome Annotation methods. It will bring together bioinformatics researchers involved in the development of genome annotation methods, along with biologists interested in the establishment and annotation of new reference genomes. The conference will address a wide range of issues including RNASeq-based genome annotation, non-coding RNA analysis, proteomics data integration and data visualization. Sizeable space will also be dedicated to emerging and future trends in genomics including ecosystem analysis and novel reference genomes. NGS 2016 is seeking sponsorship from institutions looking to engage with a dynamic audience that specializes in high-throughput sequencing and next generation sequencing data arenas. - One (1) 20 minute technology track: $1500 ** Technology Track Sessions are limited. Slots will be reserved for sponsors first followed by a first come first-served assignment.